from Rimini to Piacenza to Milan. by boat, by bike, on foot, through 100 cities. A journey through the Emilia-Romagna by its land and water routes, entirely dedicated to food education, to information and to knowledge of biodiversity and sustainable quality, progress and innovation. 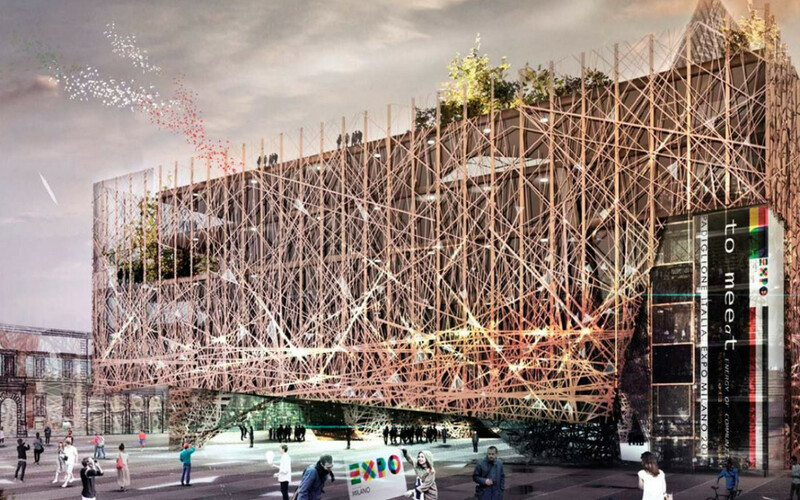 The project aims to make its own some of the themes-Expo Milano 2015 goal emphasizing, through a realization, original and charming, the participatory process and knowledge of chefs, manufacturers, institutions, citizens and tourists. pay a hig price to the environment: from Po at the EXPO, with taste. A trip–event focused on the strong theme of identity and haute cuisine geared to good and the beautiful, in which are involved the territories, chefs, producers, associations, communities, citizens and tourists. Into such an initiative is fielded the very identity of Emilia–Romagna, that boasts unmatched primates in the world of agriculture and food, and they will be the actors of moments of confrontation: the good does well, agriculture determines the landscape , the wild and fittings, the model of green economy, the city of gastronomy. The trip, from Rimini to Piacenza, will be carried out with two motor ships: the Princess for the navigation on the sea and the Stradivari for the navigation on the Po. Both motorships can accommodate up to 100 people and will dock at ports in Emilia Romagna. At each stage will correspond to a gastronomic event, the “Starry Dinner” set up on the motorships, during which guests can dine in a unique atmosphere, tasting the local products, interpreted by the expert hands of the cooks of CheftoChef. The stages that will be touched are: Rimini August 18, Cesenatico (FC) on August 21, Cervia (RA) on August 23, Comacchio (FE) on August 24, Ferrara on August 25, Finale Emilia (MO), along ‘ancient channel of the Este, August 27, Mezzani (PR) August 29, Boretto (RE) on September 6, Polesine and Zibello (PR) September 12, Isola Serafini in Monticelli d’Ongina (PC) on September 17, Piacenza Sept. 18. Along the historic Via Emilia protagonists will be the bicycles, which will travel to major cities overlooking this large artery. To make a stop in the city squares will be the food truck and bicitriciclo, both symbols of street food. While food trucks have real traveling kitchens, where cooks CheftoChef serve tastings, interpreting the pasta in Emilia-Romagna, the bicitriciclo, led by manufacturers, will become a unique showcase to display the products and at the same time a tour taste for tasting ad hoc. In some of the cities that will host the trip will take place Sunset Tasting, an initiative in collaboration with the Enoteca Regionale, through tastings and stories about wine, guided by the sommelier of AIS Emilia Romagna, will accompany the audience on a journey full of culture and charm. The host cities are: Rimini August 18, Savignano sul Rubicon-Terre del Rubicone (FC) on August 20, August 25 Forli, Faenza (RA) on August 26, Imola (BO) on August 27, Reggio Emilia August 28 , Bologna September 1, Valsamoggia (BO) on September 2, Rubiera (RE) on September 4, September 5 Modena, Parma on September 6, Noceto (PR) on September 8, Fidenza (PR) on September 11, Fiorenzuola d’Arda (PC) September 15, September 18 Piacenza. A hiking trail, which runs from Rimini to get up to Piacenza, rejoining the other two routes. Protagonists of this trip will be the landmarks of the walks, ie shelters and the villages of the Apennines, and the ancient gastronomic culture of the mountain. During the various stages of this process, carried out in collaboration with Slow Food Emilia Romagna and national and regional parks crossed the High Street, hikers can taste the products of the Apennines, in places still accessible even by those who want to participate in the individual event rediscovering gastronomic traditions through the knowledge of the people and the skills of the chefs association Cheftochef. Points appointments are: Rimini on August 7 with the inaugural ribbon cutting, Pennabilli (RN) on August 8, Dam Ridracoli (FC) on August 10, Carnè of Brisighella (RA) on August 20, Poggio di Badi of Castel di Casio (BO) on August 26, Cavone of Lizzano in Belvedere (BO) on August 28, Fiumalbo (MO) on August 29, Step Pradarena (RE) on September 5, Lagdei Refuge (PR) on September 8, Castell ‘Arquato (PC) September 13, September 18 Piacenza.